Interstate Pneumatics TG192 10-150 PSI Heavy Duty Dual Angled Tire Pressure Gauge. 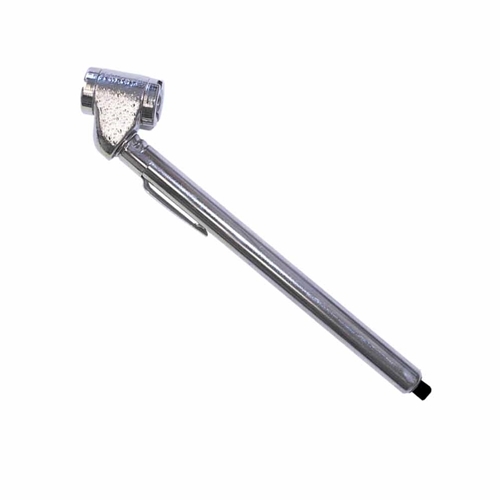 Tire Pressure Gauges feature chrome plated metal construction and are designed for long, reliable service life. Four sided white plastic slide out scale features black printing for easy reading from any angle. Heavy Duty Truck Gauge with Angle Head - 10 -150 PSI Pocket Gauge. Designed for fleet use. Angled dual foot allows easy servicing of both valves on dual wheels. 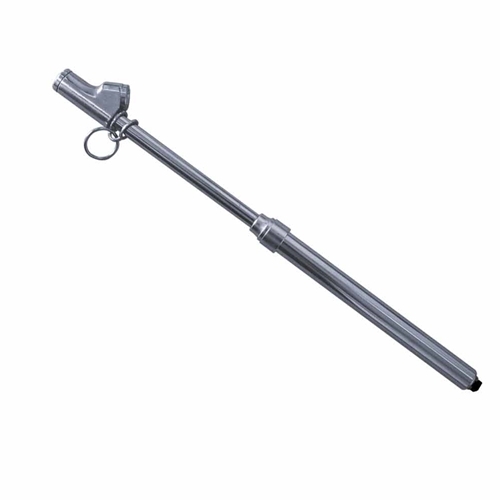 Interstate Pneumatics TG195 10-50 PSI Pencil Type Standard Pocket Gauge Tire Pressure Gauge. 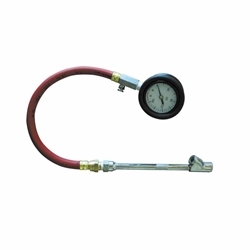 Tire Pressure Gauges feature chrome plated metal construction and are designed for long, reliable service life. Four sided white plastic slide out scale features black printing for easy reading from any angle. Pocket Gauge with Angle Head - 10 - 50 PSI Pocket Gauge for passenger cars and light trucks. Interstate Pneumatics TG193 10-150 PSI Heavy Duty Dual Straight In Tire Pressure Gauge. 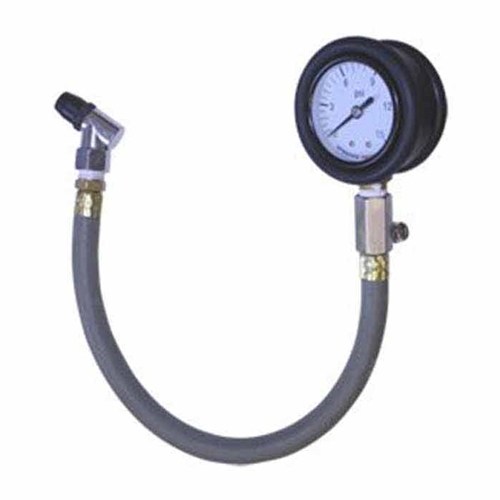 Tire Pressure Gauges feature chrome plated metal construction and are designed for long, reliable service life. Four sided white plastic slide out scale features black printing for easy reading from any angle. 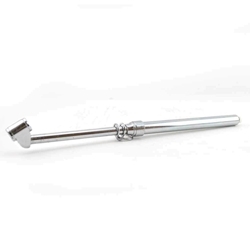 Heavy Duty Truck Gauge Straight-In, 10 -150 PSI Pocket Gauge. Designed for fleet use. Straight-In head allows easy reach of valves. 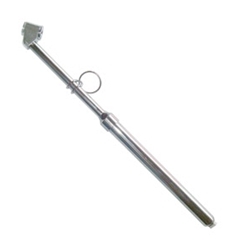 Interstate Pneumatics TG198 20-120 PSI Dual Foot Head Pocket Pencil Type Tire Pressure Gauge. Tire Pressure Gauges feature chrome plated metal construction and are designed for long, reliable service life. Four sided white plastic slide out scale features black printing for easy reading from any angle. Pocket Gauge with Dual Foot Head - 20 -120 PSI Pocket Gauge. Angled dual foot allows easy servicing of both valves on dual wheels. Interstate Pneumatics TG2135 2 Inch 0-15 PSI Tapered Angle Chuck Dial Pressure Gauge. 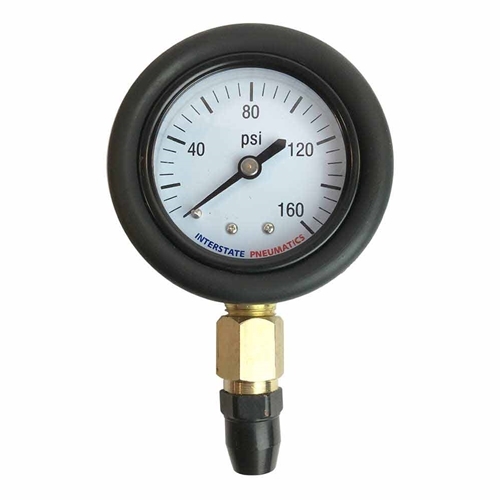 Dial Pressure Gauges feature a 2" dial gauge with large easy to read markings in black (PSI) and red (KPa), chrome plated or solid brass fittings, 12" oil resistant hose, a bleeder valve for relieving pressure, and a rubber boot to protect the gauge from shock damage. These gauges provide extreme accuracy and long life in the most rugged applications. Interstate Pneumatics TG2235 2 Inch 0-60 PSI Tapered Angle Chuck Dial Pressure Gauge.Dial Pressure Gauges feature a 2" dial gauge with large easy to read markings in black (PSI) and red (KPa), chrome plated or solid brass fittings, 12" oil resistant hose, a bleeder valve for relieving pressure, and a rubber boot to protect the gauge from shock damage. These gauges provide extreme accuracy and long life in the most rugged applications. Interstate Pneumatics TG2308 2 Inch 0-160 PSI 6 Inch Dual Foot Chuck Dial Pressure Gauge. Dial Pressure Gauges feature a 2" dial gauge with large easy to read markings in black (PSI) and red (KPa), chrome plated or solid brass fittings, 12" oil resistant hose, a bleeder valve for relieving pressure, and a rubber boot to protect the gauge from shock damage. These gauges provide extreme accuracy and long life in the most rugged applications. Interstate Pneumatics TG2335 2 Inch 0-160 PSI Tapered Angle Chuck Dial Pressure Gauge. Dial Pressure Gauges feature a 2" dial gauge with large easy to read markings in black (PSI) and red (KPa), chrome plated or solid brass fittings, 12" oil resistant hose, a bleeder valve for relieving pressure, and a rubber boot to protect the gauge from shock damage. 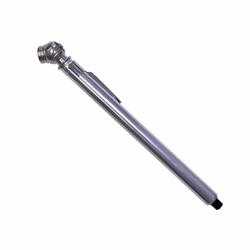 These gauges provide extreme accuracy and long life in the most rugged applications. Interstate Pneumatics TG2435 2 Inch 0-400 PSI Tapered Angle Chuck Dial Pressure Gauge. 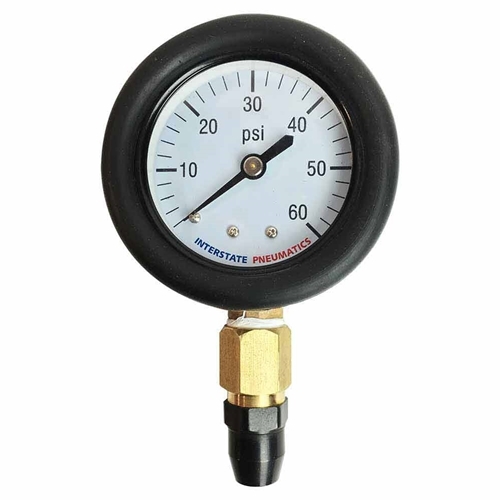 Dial Pressure Gauges feature a 2" dial gauge with large easy to read markings in black (PSI) and red (KPa), chrome plated or solid brass fittings, 12" oil resistant hose, a bleeder valve for relieving pressure, and a rubber boot to protect the gauge from shock damage.